Every home needs a productive room or corner. 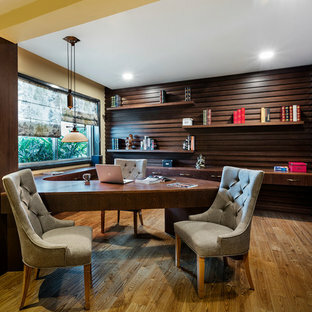 A study room or office room is for when you work from home or bring work home, or for when you need a place to go through bills, mail or store important paperwork. Even the kids can use it to do their homework, or quietly play a game online. 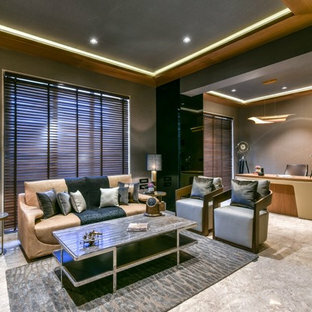 You may not have the luxury of a dedicated room to turn into your home office or library, so choose home office ideas that ensure some privacy and adequate storage. 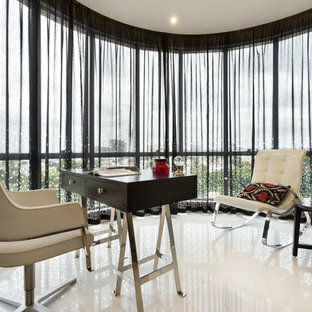 Take a look at some of these photos to help you plan your study room design. 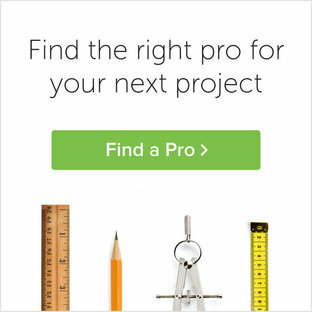 How do I plan my home office design? The right design and furniture will make your home office a place you enjoy spending time without distracting from the task in hand. Look for study room designs that can fit your electronic, furniture and storage needs. For any basic study room set up, there are two essential study room furniture items: a computer desk and an office chair. If you will be a frequent home worker then you will also want to take into account additional storage for more electronics in the home office design. When picking out your work desk, be sure to consider style as well as overall functionality. An oversized, sturdy desk, double-sided in dark timbers will look professional and go well with most styles. Invest in a good quality task chair – there are some great ergonomic office chairs at every price level that will help to compensate for our modern, computer-bound lifestyles. Also, storage and organisation are key to have a neat clutter free study room, especially with the bills, mail and statements you receive and keep throughout the year. The best study room ideas to store your papers involve filing cabinets of some sort. Add built-in shelves and drawers to arrange and keep track of staples like pens, pencils, highlighters, tape and calculators. How do I create a home office in my small home? A home office doesn’t necessarily have to be a separate room. Even a small space, if sectioned off properly, can be transformed into a great workstation or study room. 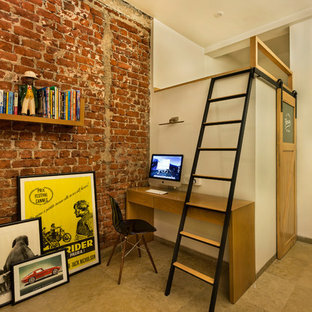 Think of home office designs and setups in unused nooks and corners of the living room. Place a desk and chair under some floating shelves, or convert a cupboard into a snug home study. There are no rules for a home library or study, it can be under the staircase, in the corner of your bedroom or living room even. If you are looking for less permanent home office ideas, then consider a folding table that can be simply tidied away when you’re done working or studying. How do I decorate my office room? When exploring study room decor, think in terms of inspiration. Paint the room colours that energise you to help maximise productivity. Use the room decor to get organised — be adventurous with chalkboard paint, whiteboard panels and bulletin boards. Add stationery and office accessories – think pencil cups, paper trays and magazine holders – to add colour and pattern, and desk lamps, clocks, maps and calendars to personalise the space. 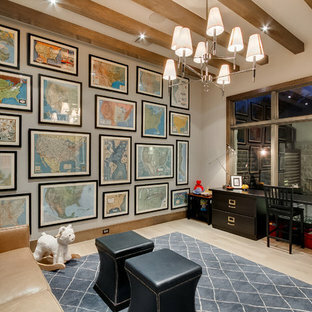 Personalised home office ideas include framed family photographs and travel souvenirs you've picked up along the way. If you are trying to achieve a peaceful and quiet home library feel, or if you want to store your book collection in your office room, then add bookcases or bookshelf units. For an authentic library feel use built-in bookshelves that stretch from floor to ceiling and a comfy chair in amongst the books.